Yesterday’s post concerning Israel’s slow onslaught towards the Palestinian people concluded by noting that Israel’s atrocities would soon be ending. The world’s people are waking up to the injustice and are set to rise together and make Israel stop. These words make for a warm, gushy sentiment, but without something concrete it’s hard to visualize exactly where I’m coming from. As if answering my calls, one of the UK’s biggest grocers – The Co-Operative Group – announced it will be ending trade with any company that exports produce from illegal Israeli settlements. Wow! The move was welcomed by Palestinian human rights campaigners saying it was the first time a supermarket anywhere in the West had taken such a position. The Co-op was quick to point out how this wasn’t not a boycott against Israel as a whole, just a trade ban on anyone directly involved with Israel’s illegal settlements on Palestinian land. It may be a small step, but it’s still moving forward. Money talks, and hitting businesses in the pocketbooks can be one of the most effective ways to enact political change. As more of the international community follow suit and a significant chunk of Israel’s trade partners dry up, the State of Israel will have no choice but to capitulate to the will of the world’s people and finally cease their crimes against humanity. 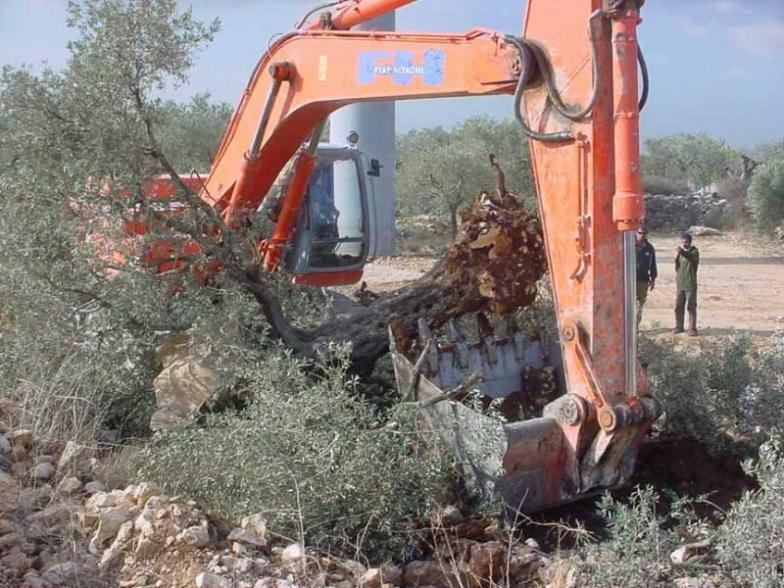 Human rights violations continue unabated this week as the State of Israel ordered Palestinian farmers in the West Bank to uproot 1400 olive trees by May 1st, or face heavy fines and incarceration. Israel is Threat to World Peace – But Don’t Dare Say It! “What must be said“, the short poem by Nobel Laureate Guenter Grass, does something few people in the mainstream Western world ever do: speak critically about the State of Israel. You know how when you catch a liar in a lie, they overreact and get all angry and hostile? That’s pretty much what the State of Israel has just done. 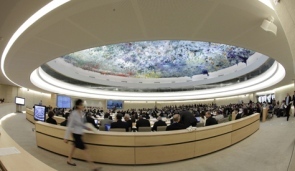 The United Nations human rights council decided to establish an international investigation into abuses committed in the West Bank settlements. And in response, Israel has severed all ties with that branch of the UN. The beautiful ‘Israel Loves Iran’ campaign is reaching new heights, nearing close to 40,000 likes on their Facebook page, and raising almost $20,000 since its inception just two weeks ago. Remarkable! Meanwhile, across the UK, members of the ‘Stop the War Coalition’ organized a day of action to speak out against war with the Persian nation. More great stuff! Demonstrations like these are just awesome to see. Massive outpourings of anti-war sentiments are a key ingredient for eliminating earth’s major armed conflicts. The more they happen, the sooner we can build a lasting peace on earth. Just picture huge rallies, numbering in the millions, across Israel and America, pressuring their governments to avoid war at all costs. 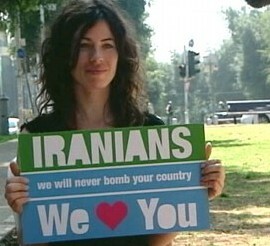 And then imagine if Iranians were doing the same thing, at the same time. Governments on both sides would have no choice but to take notice. This is precisely why humankind is on the verge of realizing world peace. The Internet is sparking a great awakening, exposing our common humanity and breaking down the fear and ignorance so integral for organizing wars. A few more years, and our world will be so interconnected, so united, that pro-war propaganda and rhetoric will be useless in the face of the global community bonds we have formed. Then, it will be just a matter of systematically dismantling the institutions of war, and reallocating those precious resources to where they should have been all along: constructively making the world a better place. The preceding quotes came from Chris Hedges, espousing an oft unheard perspective about the ongoing conflict between Israel and Palestine – a viewpoint I happen to agree with. Israel’s occupation and systematic degradation of the Palestinian people remains one of the gravest blights facing our world’s people. In terms of atrocities and abuse, it ranks up there with Apartheid in South Africa, or the genocides in Rwanda or Darfur. And what’s even more shameful is just how oblivious most of us in the Western world remain to the reality and severity of the situation. Much of this is due to Israel’s reach around the globe. The State of Israel has a powerful public relations department along with feelers running deep into the minds of many of the world’s high level politicians and government employees. The Palestinians, on the other hand, have no PR department, live in impoverished conditions, and are constantly under threat from the region’s largest army. Yet, despite the lack of PR, the Palestinians have justice on their side, and will eventually triumph. Over the next few years, thanks to the spread of alternative media, the international community is likely to awaken to this decades-long injustice. Once this happens, and Israel’s atrocities get reigned in by a world no longer willing to tolerate such inhumanity, historians and anthropologists can see how it came to be that the victims of heinous genocide went on to become perpetrators of the same crimes within just a few generations. No peace for 10 years! This is a belief held by key members of Israel’s government. Foreign Minister Avigdor Lieberman, in a conference on Sunday, revealed that he does not believe a peace deal between Israel and the Palestinians will be agreed upon within the next decade. Wow, what a terrible attitude. Way to not inspire your people with optimism and hope. Do most of the people of Israel really expect another decade of war, or is the Foreign Minister’s opinion more a reflection of Israel’s dominant military industrial complex? As someone who believes peace is just around the corner, I’d like to attribute Israel’s institutionalized pessimism as a symptom of the war machine run amok. As a tiny country surrounded by threats, you’d think Israel would want to avoid escalating conflict at all costs, but this isn’t the case. For Israel, peace would actually interfere with their clandestine agenda of border expansion. Over the past 60 years, Israel has systematically usurped neighboring territories, so much so that a map of Palestine today looks like a lung overtaken by cancer. To continue settling foreign land, Israel needs to hide their atrocities under the fog of war. If there were to be a ceasefire, there wouldn’t be enough carnage and chaos to mask their crimes from the rest of the world. Fortunately for the Palestinian people, and despite the juggernaut Israeli PR machine, the International community is waking up to see what is really going on in the middle east. Israel will likely find peace within the next 10 years, even if it has to be forced upon them by a world’s people united against the injustice. It has been several weeks since we last discussed the ongoing conflict between the oppressive and fanatical State of Israel and the Palestinian people who refuse to simply lie down and die. So you might be wondering if they are still fighting. While violence had subsided temporarily, Israel, never one to back down from the threat of peace, sprung into action killing four Palestinians and wounding dozens more with air strikes. Amongst the dead were a 12 year old boy and his father. Their only mistake? Living next to the intended targets. 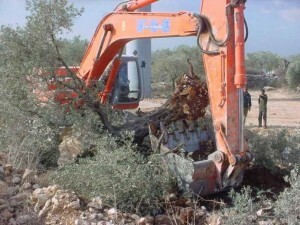 How much longer will Israel keep oppressing the nation of Palestine? Well, the answer to that question comes in the form of another question: How much longer will the rest of the world tolerate Israel’s ongoing atrocities? Seeing how the international community is continually mounting pressure, and considering that Israel isn’t even good for the Jews anymore, the injustices must surely be drawing to a close. Update: Case and point about atrocities coming to light. Disturbing footage just surfaced of a Palestinian man getting pegged with an Israel smoke canister from what looks like under 20 feet. One could easily concoct a story about how the fanatical unarmed Palestinian was a dire threat, spewing hate speech, hurling rocks and death threats against the poor, well-armed and armored, defenseless Israeli soldiers. But the sad truth is the soldier who pulled the trigger is unlikely to ever be held accountable, at least not by the Israeli Defense Force. This means they won’t even have to lie about just wanting to shoot some helpless guy in the face.